Are you ready to replace your old, bulky, and inefficient tank-style water heater? Today, there is really no need to keep wasting money and energy with traditional water heaters. There are various smarter and more efficient solutions available and electric tankless water heaters are definitely the easiest and the most functional way to satisfy your hot water needs. We have looked at various tankless water heaters available on the market which run on electricity, and we have chosen 5 models that really stand out. 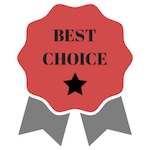 Read on to see our top picks as well as a buying guide that will help you decide on the best electric tankless water heater for your needs. 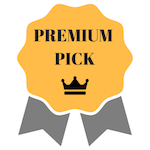 For those who wants to jump straight to our winner, here are our top pick. 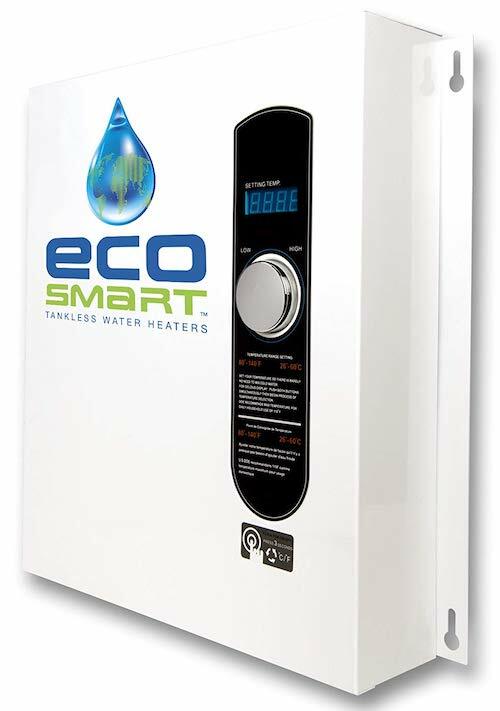 Ecosmart ECO27 is one of the most powerful models in the EcoSmart line of water heaters. It can heat up to 6 gallons of water per minute, which is more than enough for a large household. It’s even strong enough for large Jacuzzi-style hot tubs. You can really count on this heater to provide hot water when you need it, which is why it’s considered to be one of the best tankless water heaters on the market. This tankless water heater comes with a digital control panel that allows you to adjust the temperature of the water with precision. You can set the temperature to anywhere between 80 and 140 degrees F.
One of the most important features of EcoSmart Eco 27 electric tankless water heater is the self-modulating technology. This means that this water heater is completely energy-efficient. It will automatically adjust the amount of energy it draws to the amount of water you are using, so no energy is wasted. This way, you will not only use less energy, but you will also save money on your electricity bills. Even though it’s very powerful, EcoSmart ECO27 is also quite compact and beautifully designed, so it will fit in seamlessly almost anywhere. Furthermore, finding replacement parts for this water heater is very easy. It also comes with a limited lifetime warranty. However, the warranty will only be valid if the heater is installed by a licensed plumber and electrician. The SioGreen IR260 tankless hot water heater is perfect for a cabin or a small household where you need hot water supply for only one or two people. It is very compact and easy to install, so it will easily fit into any cabinet, bathroom, or kitchen, even if you have very limited space. The dimensions of the unit are 13.5 x 8.5 x 3 inches which makes this SioGreen model one of the smallest models available. The Far-infrared technology is what makes this water heater different from most other tankless water heater models on the market. The heating tubes on this heater don’t contain any metallic substances. Instead, they are made of Quartz. SioGreen uses these tubes in combination with carbon coating heating elements that create far infrared energy that heats the water inside the tubes. With non-metallic heating tubes, there is no risk of corrosion and the chances of limescale deposits forming are minimal. This makes SioGreen IR26 perfect for areas with hard water. The IR260 Point of Use model from SioGreen lets you adjust how much power it uses manually. There are four settings, ranging from 10 to 30 amps. It also comes with a water flow regulator which lets you adjust the temperature to the perfect level. Overall, it’s the perfect unit to use for a single water source. Rheem is one of the most well-known tankless water heater brands. They are known for making functional and durable products. The RTEX-18 is a compact but powerful unit with simple, rugged design. It will provide up to 7 gallons of hot water per minute, which is enough for small to medium-sized households. This water heater comes with a LED display that tells you the exact temperature of the water coming out. You can adjust the temperature in one-degree increments. The temperature range is from 80 to 140°F. The heating elements on Rheem RTEX series models are made of copper and brass and they are designed in a way that makes them easy to service and replace. 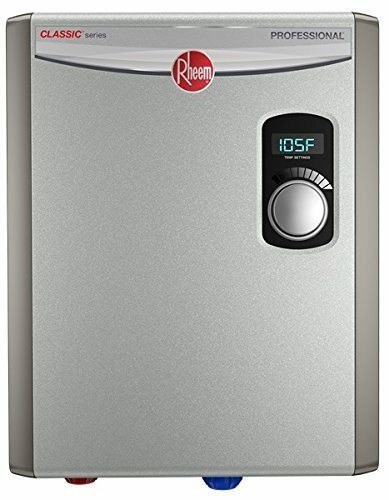 The Rheem RTEX-18 tankless water heater comes with two high-quality immersion heating elements. Furthermore, it’s a self-modulating water heater which means it’s able to adjust the power supply to the demand for hot water. 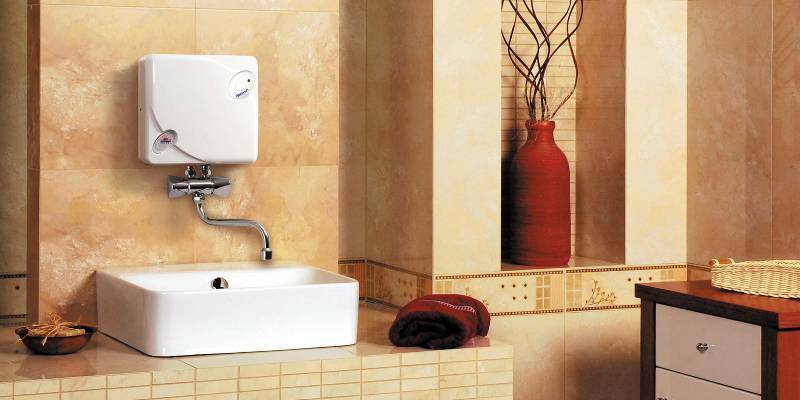 Stiebel Eltron is a German company with a lot of experience in making tankless water heaters. They have been in the business for more than 90 years, so it’s no surprise they make high-quality and durable products. Their Tempra series has been carefully designed to provide the best possible performance. All of the water heaters in this series are very functional and feature high-quality electronics. They also come with a hinged cover, which is quite a simple addition, but also very useful, since it allows for easy access. Stiebel Eltron has given a lot of attention to details when making the Tempra Plus. What really makes this unit stand out is the option to control the water flow with precision. This results in better and more accurate temperature control, so you will never run out of hot water. 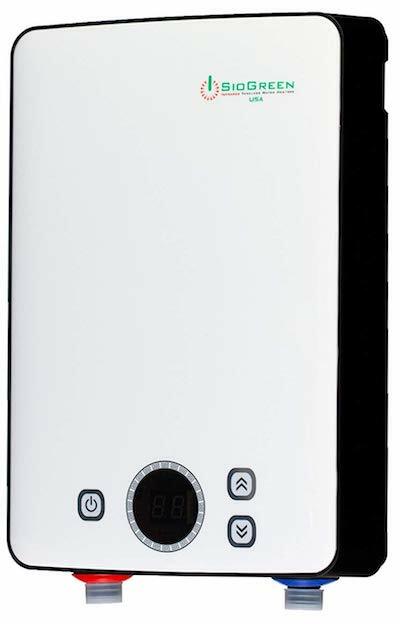 The Tempra Plus tankless electric water heater from Stiebel Eltron is a very compact unit. Its dimensions are 14.5 x 16.625 x 4.625 inches, which means it easily fits just about anywhere. Despite its small size, this water heater is also very powerful and energy-efficient. Thanks to the advanced features, it will provide a constant hot water output even in rough conditions. This unit also comes with a thermometer that shows the current water temperature on a display. You can adjust the temperature digitally, with only a push of a button. Overall, this is one of the best electric tankless water heaters available on the market. Bosch is a German company with a long tradition of excellence. The company was founded in 1886 and today they make a wide range of high-quality household appliances, among other products. 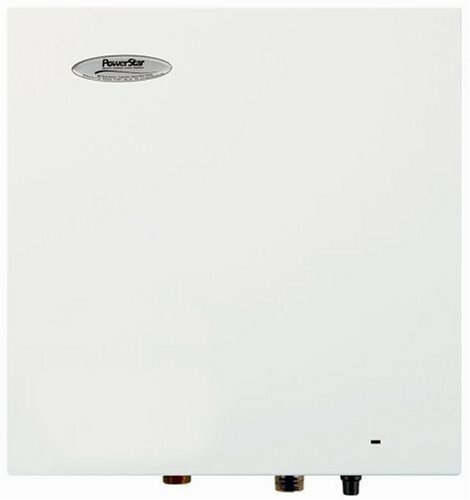 Bosch AE115 PowerStar is a tankless water heater designed for indoor use. It was designed to replace a traditional water heater with a tank that holds 40 gallons and it can be used to provide hot water on-demand throughout your house. 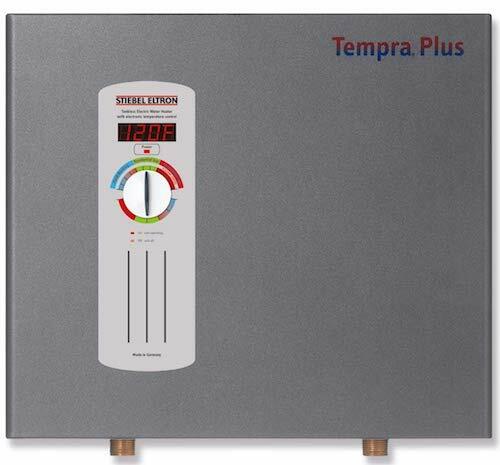 This tankless water heater is highly energy-efficient with a maximum output of 17.25Kw. This means it can provide up to 2.6 gallons of hot water per minute, depending on the conditions. It will provide 2.3 gallons of hot water per minute when the temperature is set to 105 degrees, which is the ideal temperature for showering. However, 2.3 GPM means that this heater will generally provide enough hot water to keep only one device running at a time. For this reason, it might not be the best solution to provide hot water throughout a household, but it’s the perfect model to install under the sink for instant hot water. The AE115 PowerStar water heater is equipped with which protects the unit from overheating and a thermometer that constantly monitors the output temperature. You can control the temperature using a control knob at the bottom of the water heater. The output temperature can be adjusted from 95 to 135 degrees F.
It doesn’t matter if you are environmentally conscious or you just want to save money - switching from a traditional tank-style water heater to a tankless water heater is definitely a good idea. There are a couple reasons for this. Keep reading to find out more on the benefits of tankless water heater. First of all, tankless water heaters provide hot water on demand, so they waste much less energy than traditional water heaters, even though tankless water heaters use more energy while they are operating. This means that using an electric tankless water heater will reduce your water-heating bills. If your household uses less than 41 gallons of hot water per day, you’ll be able to reduce the costs of water heating by as much as 34 percent by switching to a tankless water heater. However, even if your daily needs exceed 40 gallons of hot water, a tankless water heater is still the more efficient solution. Second, electric tankless water heaters are not hard to install and require minimal maintenance. They are also much less prone to breakdowns and therefore much safer. Tank-style water heaters store large amounts of water for extended periods of time. This inevitably causes corrosion and limescale deposits over time, especially in areas with hard water. If you switch to a tankless water heater, you will never have to face this type of problems again. You will never have to deal with replacing a ruptured tank, which can be a real nightmare. Even when there is a problem, it’s much easier to find replacement parts for electric tankless water heaters. Actually replacing the parts is also a much simpler process than with tank-style water heaters. You can click here if you are looking for gas type water heaters instead. Furthermore, electric tankless water heaters can be installed almost anywhere. They take up very little space, so they can fit into any corner or cupboard. You really don’t need a designated place in your house for a water heater, as is the case with tank-style water heaters that take up a lot of space. Check out this article for under the sink tankless water heater. Many tankless water heaters can also be installed on outside walls with the help of an anti-freeze kit. Furthermore, propane tankless water heaters require venting, but the electric ones don’t, which makes them even more versatile. Finally, there is the obvious benefit of endless hot water. If you choose the right size, you’ll never have to worry about emptying the water heater during a bath or shower again once you go tankless. Before you start looking for a tankless water heater it’s important to weigh out your hot water needs. For example, If you want to be able to run two showers and a faucet at the same time, you’ll need a water heater with much higher capacity compared to what is needed for running one device at a time. 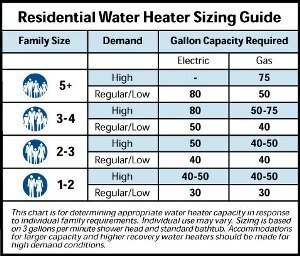 To determine the right size ​of water heater for your needs, you’ll need to consider how many devices you want to run at the same time. Calculate how much gallons per minute all of the devices need together, and you’ll have the flow rate you need from your water heater. For example, an average faucet would have a flow rate of 1.5 GPM, while a flow rate of a shower head can go up to 2.5 GPM or even higher. If you don’t know the flow rate of your home appliances, there is no need to worry. You can easily determine it yourself by measuring how much water flows out over a certain period of time. Just to give you a general idea, in areas with normal climates, 4 GPM should be enough to run a shower and a faucet at the same time. A tankless water heater with a 7 GPM flow rate will easily satisfy a very high demand for hot water, like running three showers and a faucet simultaneously. The climate you live in is also a very important factor when choosing a tankless water heater. You’ll need to calculate the temperature rise your water heater needs to provide. This will depend on the temperature of groundwater in your area. For example, if the groundwater temperature is 70 degrees F, and you want your faucet to run hot water at 120 degrees, that’s a 50 degrees temperature rise. If you live in an area where the groundwater temperature is lower than 60 degrees F, you should keep in mind that your water heater will need much more power to heat up the water to the desired temperature. All tankless water heaters function in a similar way. Incoming cold water circulates through a heating chamber where it is heated up via the heat exchangers. In electric tankless water heaters, the heat exchangers are usually made of copper. This is because copper is a material with an exceptionally high thermal conductivity. However, there are some exceptions to this rule, like the SioGreen IR260 POU which uses far-infrared technology and heat exchangers made of quartz. All of the water heaters on our list have a display that tells you the exact temperature of the water coming out of the heating chamber. This is really a necessary feature that every decent electric tankless water heater needs to have together with a mechanism that allows you to control the temperature. The temperature ranges water heaters offer vary, so this is another thing you should consider. Many electric tankless water heaters also have a self-modulating mechanism. This mechanism allows the heater to automatically adjust to the hot water demand and use just the right amount of power. This way, you’ll have a stable stream of hot water and no energy will be wasted. Finally, don’t forget to factor in the cost of installation when choosing a water heater. It’s much easier to install an electric tankless water heater than a tank-type water heater or a unit that runs on propane. However, you’ll most likely still need professional help. 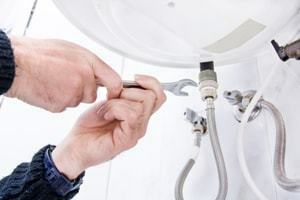 In some cases, the warranty on your water heater will be voided if you install the unit yourself, so always make sure to check if this is the case. 1. Are electric tankless water heater worth it? Electric tankless water heaters are worth it because they are more energy efficient, safer to use, save space and can save you money when compared to traditional tank counterparts. 2. How do I choose an electric tankless water heater? To choose an electric tankless water heater, you first have to determine the number of devices you want to connect to, its flow rate and the amount of time it takes to heat up the water. 3. Which Electric tankless water heater is the best? 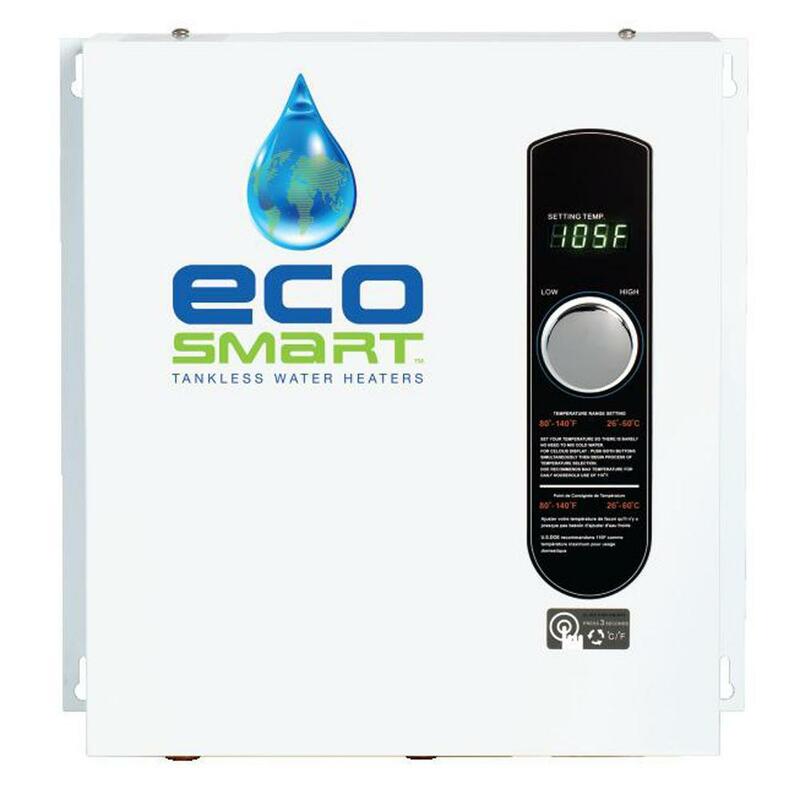 The best electric tankless water heater is no doubt the Ecosmart ECO27. It can produce up to 6 gallons of hot water per minute, high flow rate and can be used even in large household. Which electric tankless water heater should you get? The answer to this question will, of course, ultimately depend on your needs and the intended use. However, if we had to single out one best electric tankless water heater on the market, it would surely be the Ecosmart ECO27. It is not the cheapest unit on our list, but this water heater is definitely worth the investment. The EcoSmart ECO27 provides up to 6 gallons of hot water per minute, which is more than enough even for large households. Furthermore, it will provide a constant stream of warm water even if the inlet temperature is as low as 37 degrees F, which is really hard to find in electric tankless water heaters. With the sleek design and the precise temperature control, there is really no reason not to love this unit! Finally, no matter which model you choose, we hope this guide has helped you make an informed decision you won’t regret. 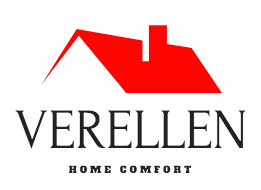 Hi, my name is Verner Ellen. I am a homebody whose interest is in getting the best home tools and equipments to help with the the everyday house chores. I also love fitness, cooking and grilling. Maintaining a clean and comfortable home is my lifelong passion.